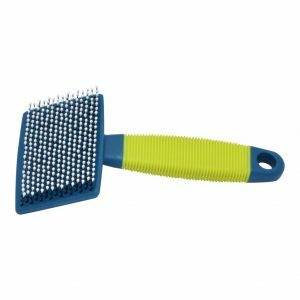 The Premo Bobble Pin Slicker Brush has plastic coated pins for gentle use on cats and dogs. 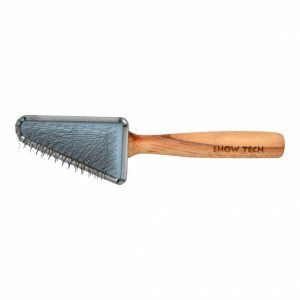 The Show Tech Triangular Slicker Brush is perfect for grooming those awkward to reach places, especially around the face. It has a wooden handle.